We’ve almost made it all the way across the country. We’ve gone through Virginia, West Virginia, Ohio, Indiana, Illinois, Wisconsin, Minnesota, South Dakota, Wyoming, and Montana so far. Tomorrow we’ll be in Yellowstone National Park and then out through Montana and Idaho into Washington. Paradoxically it’s felt like a long trip but gone by quickly. We’ve been cramming in some visits to places like Chicago, Badlands National Park, Bighorn National Forest, and of course, Yellowstone. We’ve seen all sorts of wildlife. We’ve camped in the freezing cold and stayed in cheap motel rooms. We’re so tired. Driving is a strangely tiring activity. But it’s all been worth it. Traveling is an invaluable experience. We should and intend to do it more often. Meanwhile, we’ve got an awesome show planned in Seattle!! It’s this Sunday, October 27th at The White Rabbit. 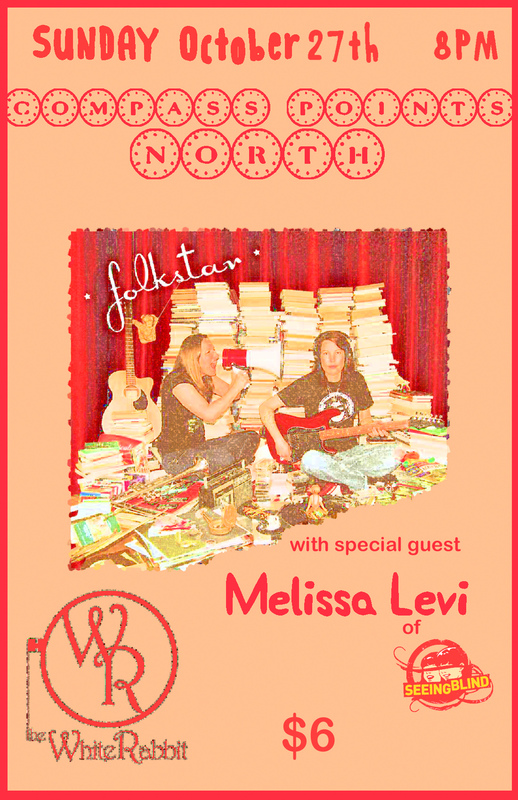 We’ll be playing with Compass Points North and Melissa Levi of Seeing Blind fame. This is a show not to be missed! Come talk to us after our set!! ← Full Folkstar Interview all about the New Album Loud and Clear!